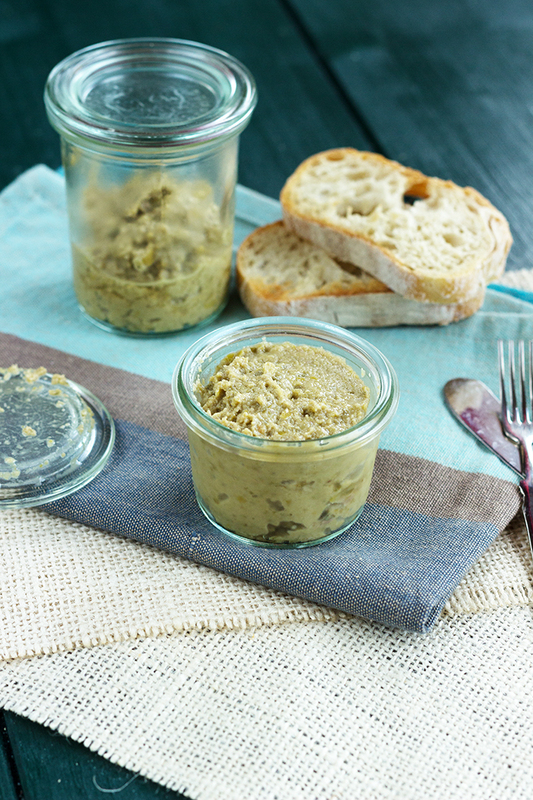 You can serve this green olive tapenade for an apéritif, but also during a picnic or anywhere else when it is warm and sunny. On top of toasted bread, it is like you travel in the south of France. It reminds me my Hometown. This is one of the easiest recipe I know. Ok, I am always saying that; but that true I am trying to share easy recipes here. So you can also bring some part of France in your kitchen :). 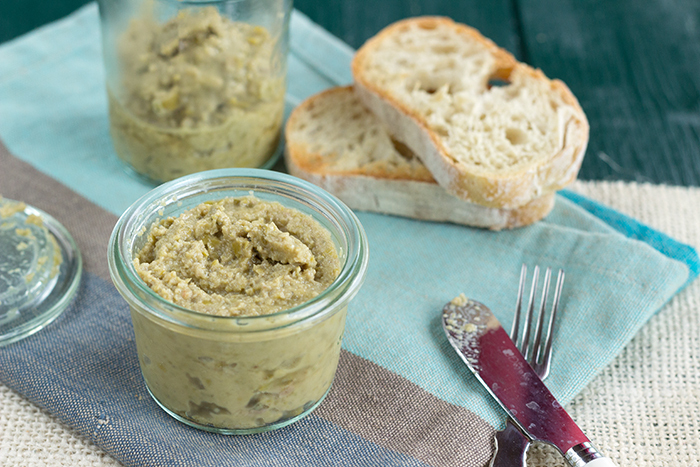 If you want to try the black olive one, here is the black olive tapenade recipe. Almost the same recipe, only colors change. A rosé glass in one hand and my feets in the water ! A dream comes true. But I leave you with the recipe. Oh, one more thing. I will begin to send a monthly newsletter instead of the weekly one, so you can still enjoy my recipes without being overwarmed by too many emails. However if you still want to receive the weekly one, just let me know or follow me on social media :). Place your green olives in your mixer. Check that they are well seeded or you will have a surprise ! Not really nice. Add all the others ingredients and finely mix until you get a homogeneous paste. And that's it. Serve with toasted bread!